The MDVIP model of primary care is what I call The three Ps - Personalized, Proactive and Preventive care. It's a team approach, and I am the quarterback coordinating ALL aspects of patient care. As an MDVIP-affiliated physician, I have the time to carefully evaluate and analyze each patient's unique concerns and problems and develop a personalized wellness plan that we work on together throughout the year. there are amazed at how quickly Dr. Glasser responds when we call him for help. We spend Jan & Feb. in Florida. One of us almost always needs a prescription for a cold or sore muscle or similar affliction. Pharmacists down there are amazed at how quickly Dr. Glasser responds when we call him for help. Dr. Glasser is not only extremely knowledgeable and competent, but personable. 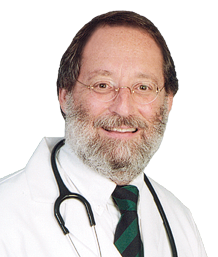 Dr. Glasser is not only extremely knowledgeable and competent, but personable. He always engages me in conversation regarding my health as opposed to just telling me how to manage my issues. I appreciate his approach to my personal well being. Always listening to you, calls back, has a great office staff, is concerned and thoughtful. In my eyes he is the best doctor out there. I recommend to everyone to enroll with MDVIP. After a back operation , I suffered a heart attack and cardiac arrest (2) . Steve Glasser MD visited me every day I was in ICU . In addition he answered every call even while he was at dinner with his family.. I can't tell you the comfort it gave me and my family to know he was there !! I feel blessed to have found you! Our wish is for him to stay well and to continue in his wonderful medical practice. THANK YOU. There are so many occasions that Dr. Glasser has made himself available to both my wife and myself during hospital stays as well as In the office. He is not just our doctor he is a great friend. Our wish is for him to stay well and to continue in his wonderful medical practice. THANK YOU. Dr. Glass is an amazing physician and an amazing person. Dr. Glass is an amazing physician and an amazing person. He is kind, considerate, and always has the time to talk to you. He gives his time to deal with whatever healthcare issues you have.to provide you with a positive healthcare experience. The office staff is also wonderful and very personable. Grace and Annette are always there to foloow through with what needs to be done.